I have a special place in my heart for hard (alcoholic) cider. It was the stepping stone that brought my taste buds closer to beer. Now that they’ve arrived, cider gets less attention. But sometimes – especially in the summer – I’m in the mood for something a little bit sweeter than an IPA. 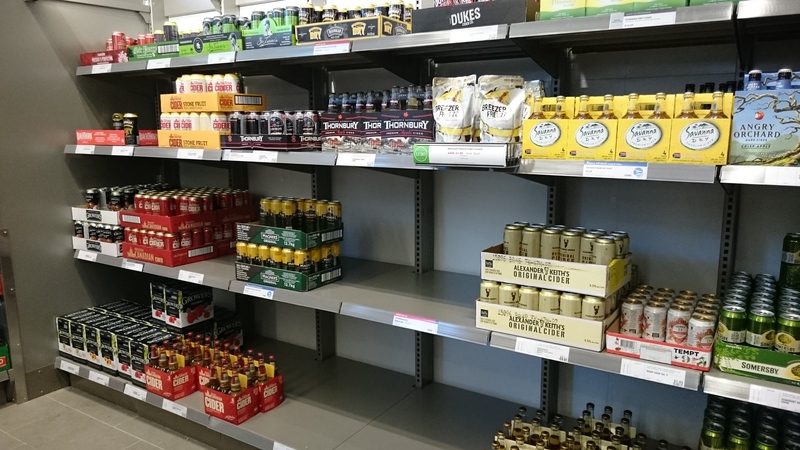 It hurt my heart (and my palate) that cider seemed to finally come into its own last summer, when I was pregnant, and I couldn’t try any of the exciting new flavours or brands. This summer I plan to make up for missed time, so last weekend my minimal tolerance and I pranced into the local liquor store armed with a debit card and a quenchable thirst. I stopped in front of the massive wall of canned and bottled ciders and paused. After reading a few labels, I realized that some listed ingredients and some don’t (alcoholic beverages aren’t required to list ingredients or nutrition facts). And those that do don’t generally have positive information to share. 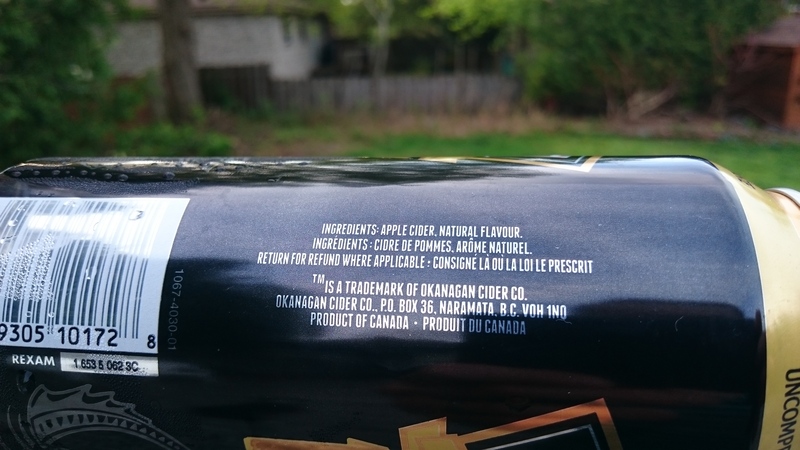 The ingredients list on Okanagan pear cider: Apple cider, natural flavour. I’m not quite ready to start making cider at home in my bathtub, so I did what any scientist would do and bought up one of every brand of cider the store had. After carefully scrutinizing each can (and each company’s website), I have come to the happy conclusion that there are a few brands of cider I can still feel good about drinking. And there are some I will most certainly avoid (Strongbow, my I’m making my disappointed face at YOU). However, nearly every brand has one of added sugar, flavours, or preservatives. So pick your poison. 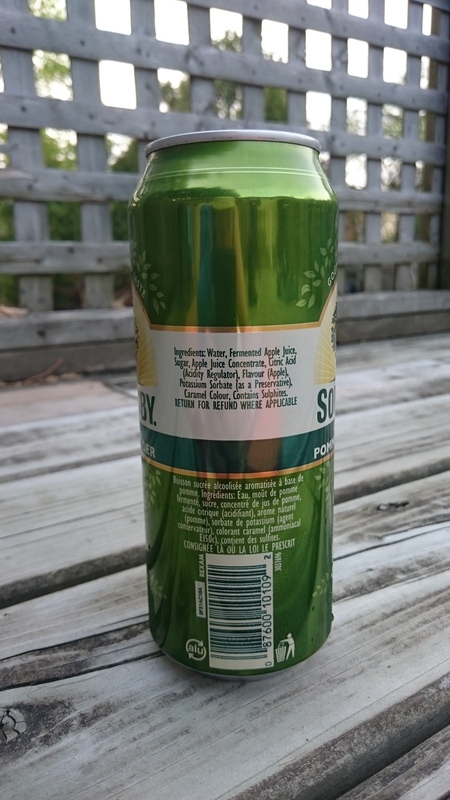 Ingredients on Somersby cider: Water, fermented apple juice, sugar, apple juice concentrate, citric acid (acidity regulator), flavour (apple), potassium sorbate (as a preservative), caramel colour, contains sulphites. I also offer this disclaimer: these ciders are not the fancy, bubbly, champagne-type ciders you’ll find in the Vintages section. They are the everyday ciders I like to drink on the back deck after working outside on a hot Saturday afternoon. Apparently some cider makers take this niche to mean they can make products that taste like coolers (with sugar content to match). I’ve compiled a list of natural ciders for you so you can spend less time shopping and more time drinking / responsibly enjoying. My very scientific research also indicates that, unlike many premium-priced natural foods, the most natural cider brands are not necessarily the most expensive. Hooray! 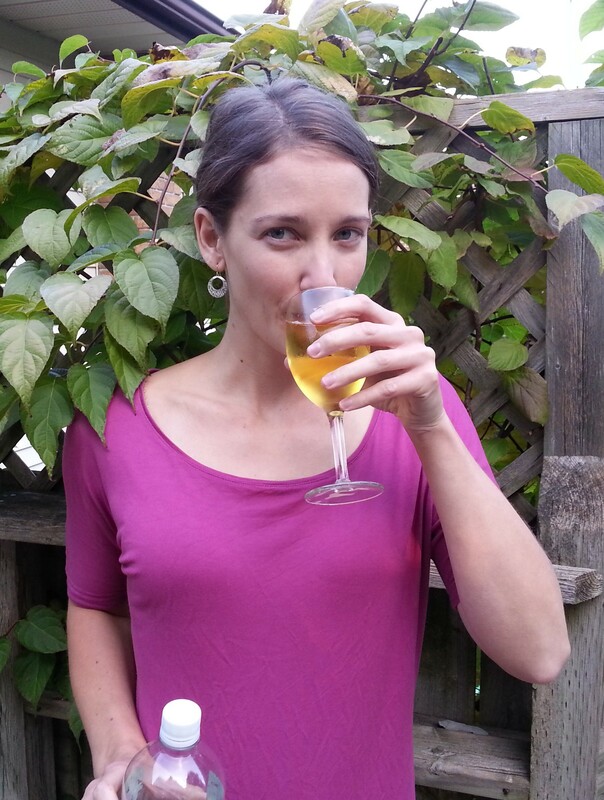 You can avoid weird preservatives and added sugar and still enjoy a refreshing cider on your back deck. Here’s a picture of me doing the same: Ahhhh! If you find yourself staring a can or bottle down and are unsure of its composition, read the fine print for red-flag phrases like “Cider beverage” and “X flavoured cider”. Natural flavours may sounds innocuous but generally I believe they train your taste buds to expect more when a food’s inherent tastes would otherwise suffice. Fermented apple juice and glucose syrup, water, sugar, carbon dioxide, lactic acid, citric acid, sulphites. No From the can: Water, fermented apple juice, sugar, apple juice concentrate, citric acid (acidity regulator), flavour (apple), potassium sorbate (as a preservative), caramel colour, contains sulphites. Am I missing your favourite brand? I’m always looking for excuses to sleuth out more ciders. Let me know in the comments below. Thanks for doing this! I’m on the same adventure. The cider selection at the LCBO is huge these days, but it’s still difficult to find one that lists it’s ingredients as just apples. So far, I’ve only found one: Brickworks Batch 1904. Why are there so many beers that say proudly on their label that they are preservative free, but no ciders doing the same? I agree with your comment re: preservative free. Or, I’ve noticed, some companies may say this (on their cans or websites) but those that do still have added sugar. It seems to be one or the other (or both).